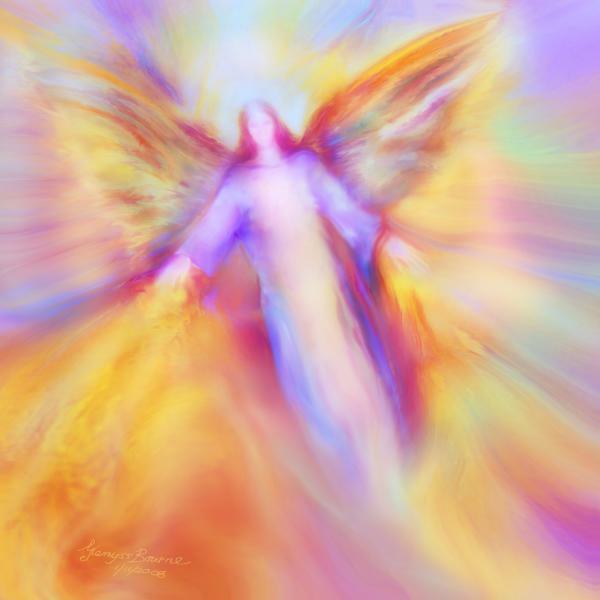 The following are a couple of meditations I channeled from Archangel Uriel a few years ago. The practice is a process that has two parts, one for calming the mind, and the other for deepening your connection to the frequency of God. It was given to me at a time when I was struggling with an overactive mind. I had many decisions to make and I was being emotionally bombarded from many directions. As a result of this my entire energy system was running on overload and I was at the point of collapse. Bring your focus on to your mind and get a sense of the energy of it. What does the mind feel like? Feel the energy space of the mind. Once you sense this, imagine and intend to dissolve the mind into liquid. The now fluid mind pores into the central channel, which is an energy channel that extends from the Soul Star chakra, all the way through the midline of the body, and exits at the Earth Star chakra approximately 18 inches below the feet. The central channel runs just in front of the spinal column and is where the major chakras root into and emanate from. Imagine the now liquid mind pouring down through the central channel and into the heart chakra. Get a sense now that the mind is actually in the heart. You should feel a complete emptiness within the head as a result. Once you get a sense of this, you should start to feel a pressure within the heart. This is all the negative energy of the mind starting to be entrained to the heart energy. Continue sitting in this space until the uneasiness and pressure subsides. You can then just bring the mind back up into your head and finish there or continue on to the second part. Just by doing the first section of this technique, you will bring much positive change to your life. Your sense of connection will intensify. Your quality of focus will dramatically improve, and your general well being and happiness will increase. The second part of this technique is for people who wish to create a greater union with God’s love. Once you have entrained the mind in your heart, bring your pure intent on to directly connecting to the heart of God. This intent needs to be sincere and heartfelt. You need to have a great desire to be at one with God’s heart and love. Once this intent is set, bring the mind into the central channel into the space between the two energy vortexes of the heart chakra. There is a space between the two that appears like emptiness. You will have to move the mind back and forth in this space until you feel this energy gap. Once you find it, you should notice a radiant light or a deep sense of stillness, or even a feeling of nothingness come over you. Once you find it, relax and just “Be” in this space without any effort. Just be open with your desire to connect with God’s love and heart. This entry was posted in Uncategorized and tagged Acension, archangel uriel, consciousness, Divine Love, earth star, meditation, philosophy, spirituality, trevor gollagher. Bookmark the permalink.